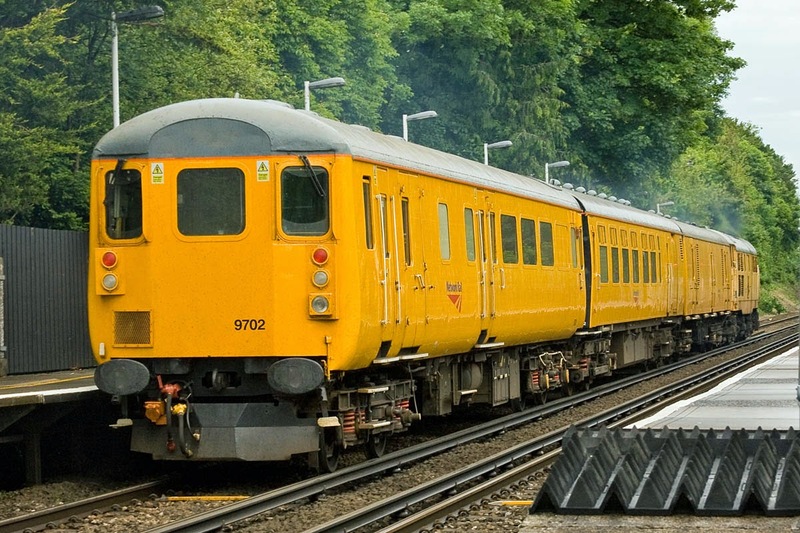 3Z07 10:50 Eastleigh - Derby. 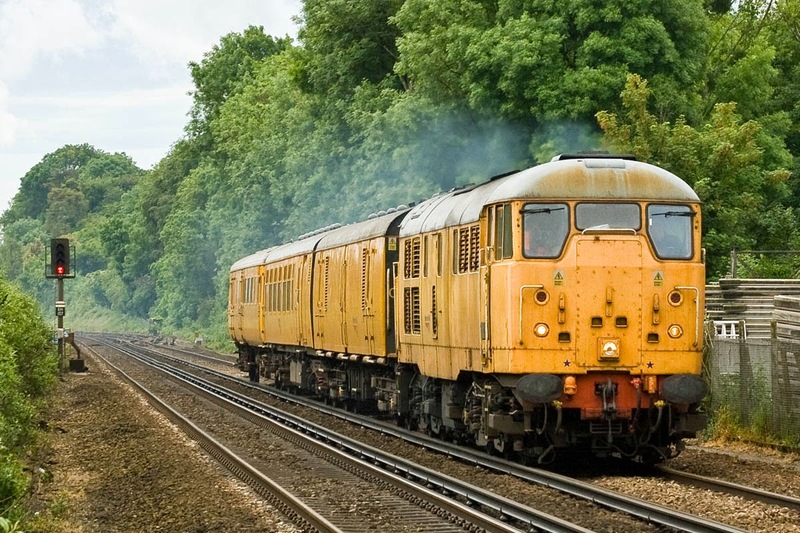 I believe that "Skinhead" 31105, delivered from Brush in March 1959, as D5523, is the oldest diesel locomotive running today on Network Rail (although preceding D5522 is preserved as 31418). 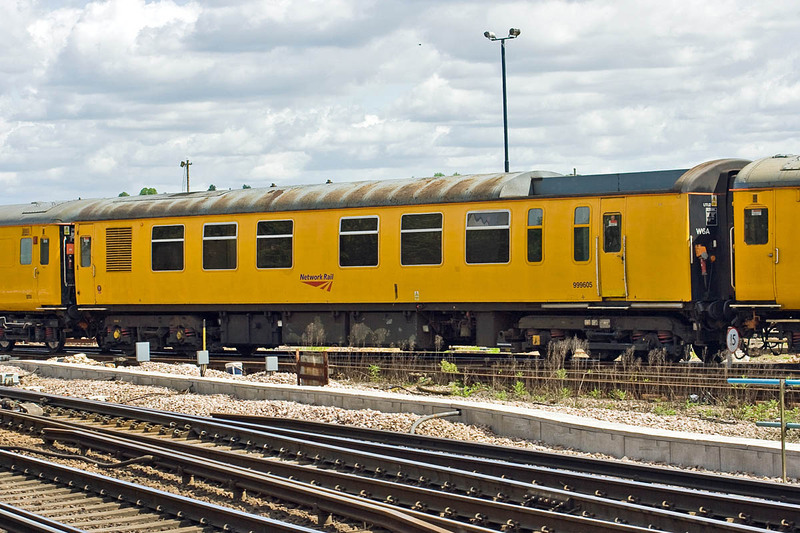 Re-engined with an EE 12SVT in March 1967, dual-braked in 1969, and refurbished in 1987, it was withdrawn from normal EWS service in May 1997. Approaching Shawford, running with Ultrasonic Test Train UTU-2. A closer up picture of the weathered locomotive. The rear car was DBSO 9702, but 62287 beyond it is of most interest. 6262 was originally 81064, a BG completed to Lot 30228 by Metro-Cammell in May 1957, allocated to the LMR, eventually NEA (B4 bogies, 100mph, air brake, dual heat - ETH 600A wiring, driver guard communication and public address) Renumbered to 92028 in April 1983, then renumbered to 92928 in May 1992 running until June 1994. Converted to generator van 6262 in September 2003. 62287 was built at York to Lot 30808 in June 1970 as an MBS in 4-CIG 7337 - the first unit in the 1970 build. Unit was renumbered 1237 in August 1987, then 1816 in May 1998, then 1303 in April 1990, running latterly was SWT until 28th January 2005. 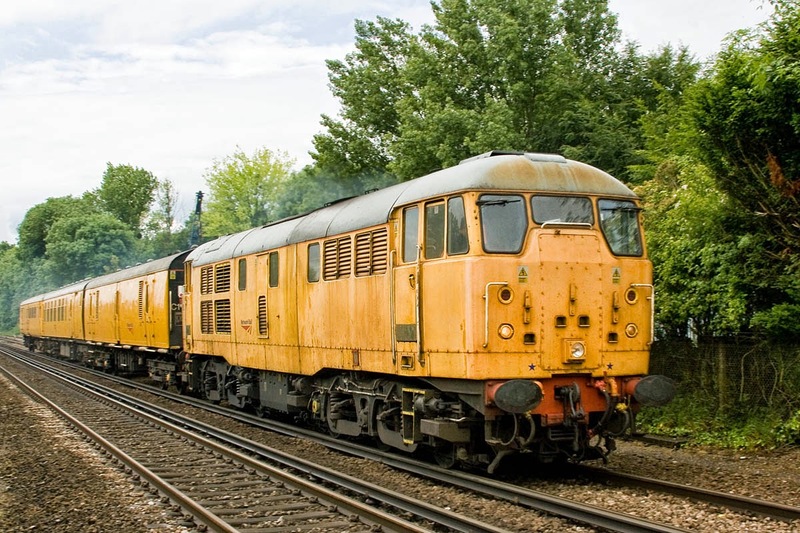 It was then stored at Shoeburynesss and later preserved on the Lincolnshire Wolds Railway. This coach has displaced former 4-REP motor coach 999605, and has been subjected to radical changes on the other side. 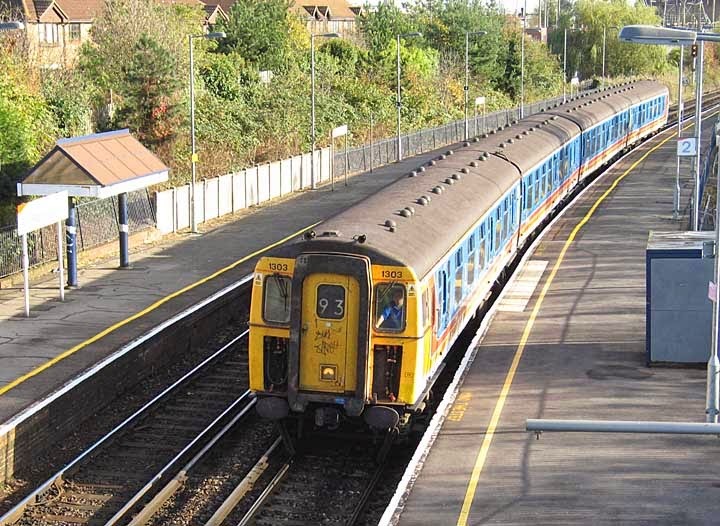 1303 is seen at Redbridge on 14th November 2004, with a '93' slow train. MBS 62287 is the second coach.